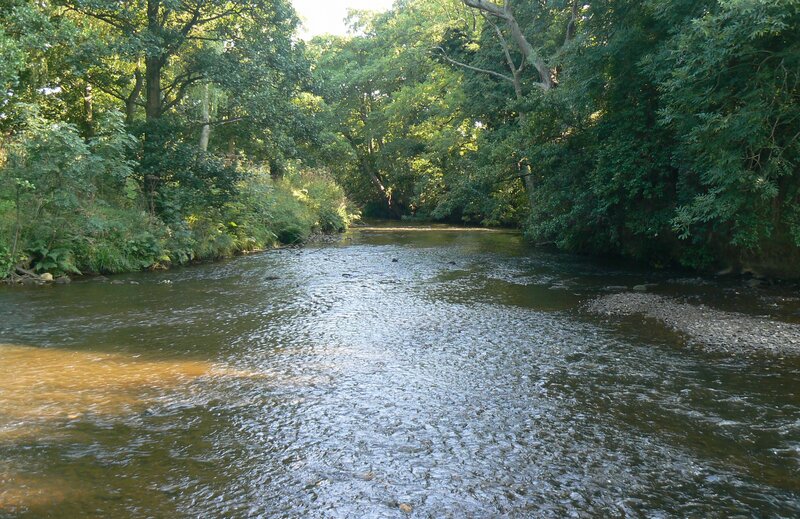 The BIFFA funded project ‘Restoring Freshwater Mussel Rivers in England’ came to an end in 2018. We were involved because of the River Esk in the north of the National Park. The £300,000 made available helped towards safeguarding Yorkshire’s last remaining population of Freshwater pearl mussels (Margaritifera margaritifera). A huge amount of work was achieved in the Upper Esk catchment during the three year period of this project, working closely with the farming community to address diffuse pollution from agriculture. Pollution including sedimentation detrimentally affects water quality and therefore impacts on aquatic species like the mussels. This helps stabilise the river banks and creates buffer strips to reduce the amount of runoff from fields getting into watercourses, as well as providing rough habitat along the river corridor for insects which are so important for fish, birds and small mammals. The majority of which were planted by our dedicated River Esk Volunteer Group. Trees help stabilise the banks and so. like with the fencing, reduce sedimentation. This is to reduce poaching in fields and along the river banks, and to keep stock and their effluent out of a watercourse. To capture clean water before it gets onto the ground, picks up nutrients and sediment, and then runs into a watercourse. 1,237 m3 of concreting in farm yards. The new surface is profiled to collect dirty water before it can enter a nearby watercourse. Big Thank You to Biffa for supporting the Restoring Freshwater Mussel Rivers in England project. Big Thank You to all the local land managers who worked alongside Simon on the Esk, contributing a lot of their own time and capital to complete these improvement works. Big Thank You to our dedicated Mussel Volunteers who have played such a vital role in this delivery project, and all the other volunteers that helped out like the Explorer Club and the 1st Marston Moor Scout Group. And one more Big Thank You to Simon Hirst. 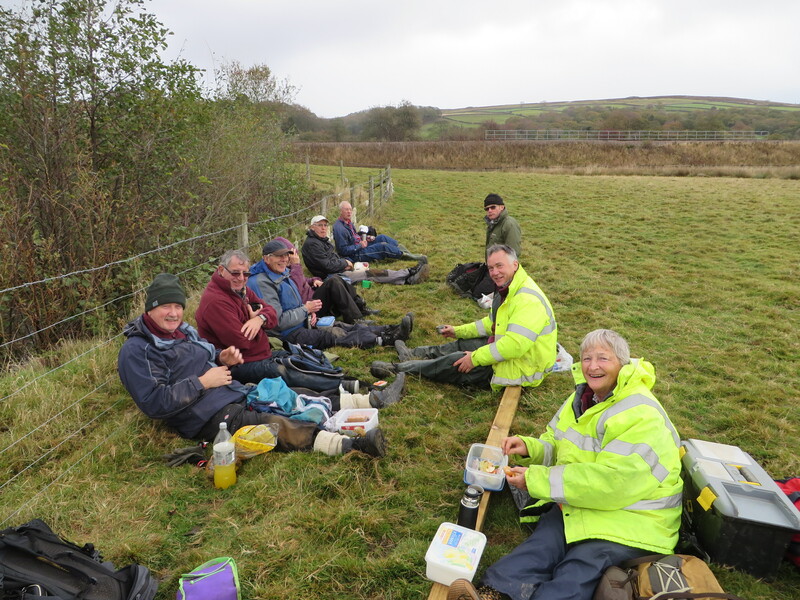 Last year the North York Moors National Park had to say goodbye to Simon because he moved on to a new role working on the River Holme in Huddersfield. His enthusiasm and knowledge will be greatly missed by us and the Esk’s Freshwater pearl mussels. This entry was posted in Agri-Environment, Biodiversity, Conservation, Ecology, Environment, Funding, Local Community, National Park, Natural Environment, Natural Heritage, North York Moors and tagged Agriculture, Biffa Award, Farmland, Freshwater pearl mussels, Riparian, River Esk, Volunteers, water quality by North York Moors National Park. Bookmark the permalink. Very interesting. Great to see the before and after photos. which show that small changes like these can make such a difference to river water quality.